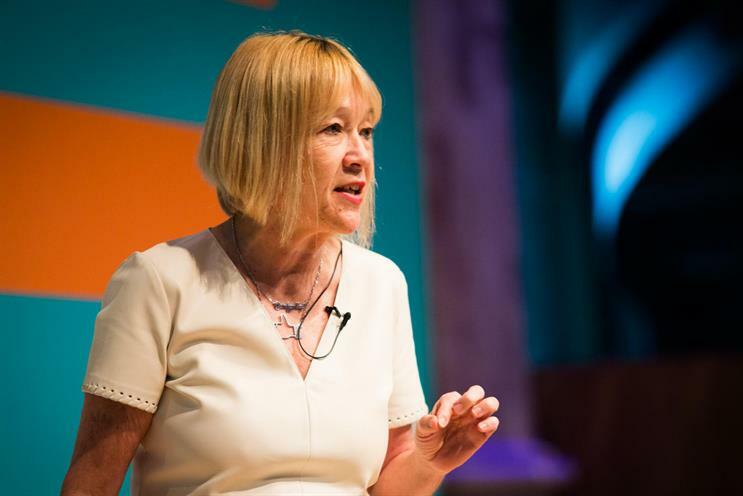 Non-disclosure agreements have the advertising industry in a stranglehold and it is time to eradicate them, according to industry stalwart Cindy Gallop. Gallop, the founder of MakeLoveNotPorn, said the advertising industry must call #timesup on non-disclosure agreements and address their "appalling prevalence" across the industry. She said: "I want to see the leaders of every holding company and agency network announce their eradication immediately. We cannot have progress without full transparency on who the harassers and bullies in our industry are and whether or not they face repercussions. Why on earth would anyone silence a victim instead of firing a harasser? If you're trying to gag victims, you know you're rotten at the core." A female creative in her twenties, who signed such an agreement without fully understanding the implications, explained that the widespread practice was not only damaging for the victim but put other employees at risk. She said: "The NDA provides a clean slate for the abuser, enabling, and even emboldening them, which almost ensures further abuse there, and elsewhere, placing other women in real danger. Cruelly, agencies silencing the victim elevate their suffering from abuse at the hands of a single perpetrator to having an industry aligned against them." She continued: "The reality is, agencies are absolutely terrified of women who will speak truth to power and upset the status quo. Silence ensures that each woman is isolated and powerless in their own suffering." The call to end NDAs comes as the advertising industry continues to grapple with the issue of sexual harassment in the industry. Earlier this year research published by the Advertising Association, NABS and WACL, as part of the #timeTo initiative, revealed that sexual harassment in advertising is not a legacy issue. Twenty per cent of female respondents aged 18 to 24 reported they had already been sexually harassed in the few years they have spent working in the industry. The great majority (72%) of those who had been sexually harassed had experienced it more than once, and of those a quarter had been harassed six times or more. This suggests that a culture of silence around sexual harassment, combined with the prevalence of NDAs, allows perpetrators to continue a cycle of harassment. Gallop said: "I have literally hundreds of emails in my inbox from women who've been forced to sign them [NDAs]. This, combined with agencies' and holding companies' refusal to fire sexual harassers (and bullies and abusers) and, when they finally do, to state publicly the reason why, is keeping our industry in the dark ages by destroying women's careers instead of the careers of the men who harassed them." Diana Tickell, CEO of NABS, said that using NDAs or confidentiality clauses in settlement agreements after an allegation of harassment has been made was likely to prevent people from speaking out about their experience and systemic problems being tackled within companies. She said: "Our message to employers, which is reflected in our code of conduct, is that they need to think very carefully before using such agreements or clauses in response to sexual harassment complaints, and misusing them following an allegation of sexual harassment could make them void." Tickell believes that agencies need to create cultures in which people can speak up without fear of reprisals. "We want safe, trusting and open environments where anyone can approach their company with faith and confidence that the company will investigate all allegations fairly and promptly. We want to create work cultures where people are never made to feel that their jobs – at their current company or a future one – will be negatively affected because they have come forward to report an incident," she added. She said some respondents to the timeTo initiative did share more positive experiences of companies that had acted on allegations promptly and without using NDAs or confidentiality clauses, proving that it can be done. Breaking the silence surrounding sexual harassment in advertising is also viewed as an important step in tackling gender inequality both on the screen and behind the lens. Gallop said sexual harassment was a significant business issue: "The resulting loss of female-lens creativity, strategy, business management and leadership hurts our clients' business as well as our own. Our industry will never be gender-equal, diverse and inclusive, and therefore as exceptionally creative, revenue-generating and profitable as it could be, while protection of harassers keeps out of power the female leaders who would make equality, diversity and inclusion happen." For the female creative who signed an NDA following a traumatising experience of sexual harassment, the experience has been one that has left her feeling utterly powerless. Like other women who have left agencies following sexual harassment complaints she must also grapple with practical challenges, such as how she will explain the gap in her employment to future employees, or how she will explain why she left her previous agency. She explained: "The NDA ensures the victim disappears because, if they don’t, the agency will be held to account for fostering an environment that allowed such inconceivable, criminal acts to occur within their walls." No one should be forced to sign a NDA or settlement agreement and no one should sign one without taking independent legal advice first. If you want impartial, free and confidential help and guidance, call the NABS Advice Line on 0800 707 6607. Is the 'Top Five' email indicative of a culture that is inherently toxic in agencies?